Since my youth, I have been attracted by the repair and modification of things mechanical that have been disgarded as no longer working. But when it came to choosing a profession I opted for medecine and obtained a degree in surgery in 1987. My interest in mechanics has developed progressively to automobiles and more specefically to amphibious cars. 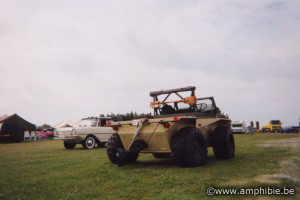 The cross country vehicle Croco seemed to me to be the right vehicle for amphibious conversion because of its originality and performance, and I proved this in 1998 when I built my first car. From the original Croco that was designed to go where other vehicles could not, I have developed the vehicle so that it can now travel through water at 10 km/h. whilst keeping its original qualities. 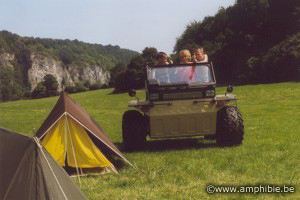 I own several original Croco vehicles ( that requiring restauration) that I am looking to sell to someone passionately interrested in amphibious conversions.